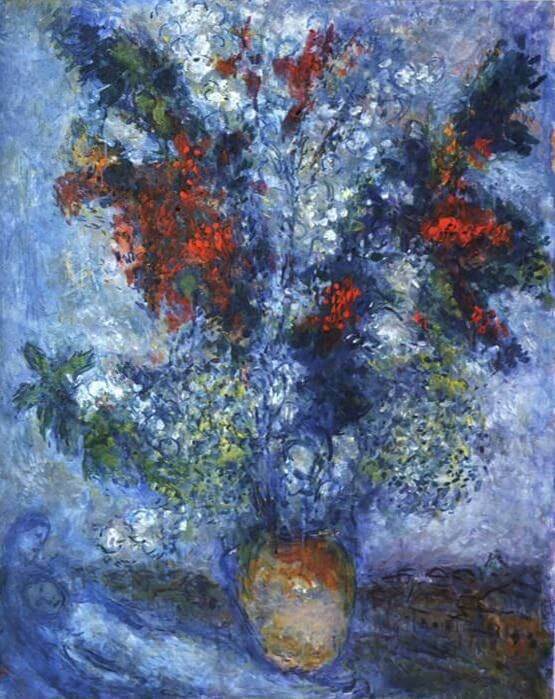 Flower Bouquet, 1982 presents a vivid, yet soothing vision of lovers cast in the background of a bouquet of flowers. 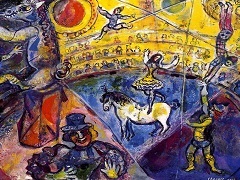 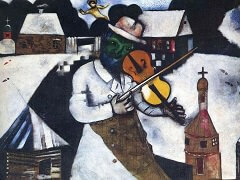 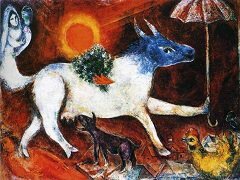 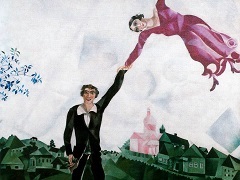 It is a good example of the style evident in many Marc Chagall paintings. 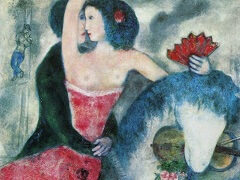 You have romance, religion, abstractionism, and, of course, bold colors. 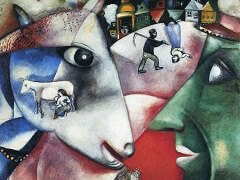 The high regard that Chagall holds for love is truly evident in this work, and the proof is in the details.